DinoPark is a unique amusement park for public and mainly families with children 5- 15 years old. Located on the roof of the Galerie Harfa shopping center next to the O2 arena, DinoPark depicts the scenery from the life of Mesozoic animals as they likely populated our planet long time ago. 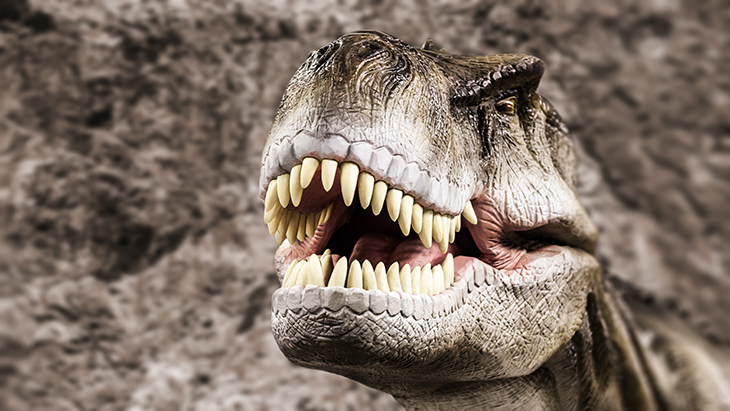 If your children are interested in dinosaurs, you will definitely make them happy by taking them there to see how dinosaurs come back to life in their original sizes. The models are placed in sets reminiscent of their natural habitat and they’re both static and animated, all of them with sound. Some attractions support the educational purpose of the park, such as a unique 4D movie theater, children’s paleontological playground, educational path and many others. DinoPark will amuse kids of all ages for whom there is also a big playground with many attractions. The ticket to the DinoPark includes a tickets for the abovementioned 4D movie theater located on the second floor of the Galerie Harfa right behind the DinoShop. From 2011 the movie theater has been showing a movie called Giganotosaurus 3D, which was made exclusively for the DinoPark. The highlight of the park for Mesozoic-era lovers is the prehistoric paine tree Wollemi Nobillis - it lived on the Earth some 175 million years ago and today less than 50 specimens remain living wild the Australian wilderness, representing a unique thing of worldwide importance. DinoPark is open from 9 a.m. till 9 p.m. and children up to 3 years of age have free entrance.